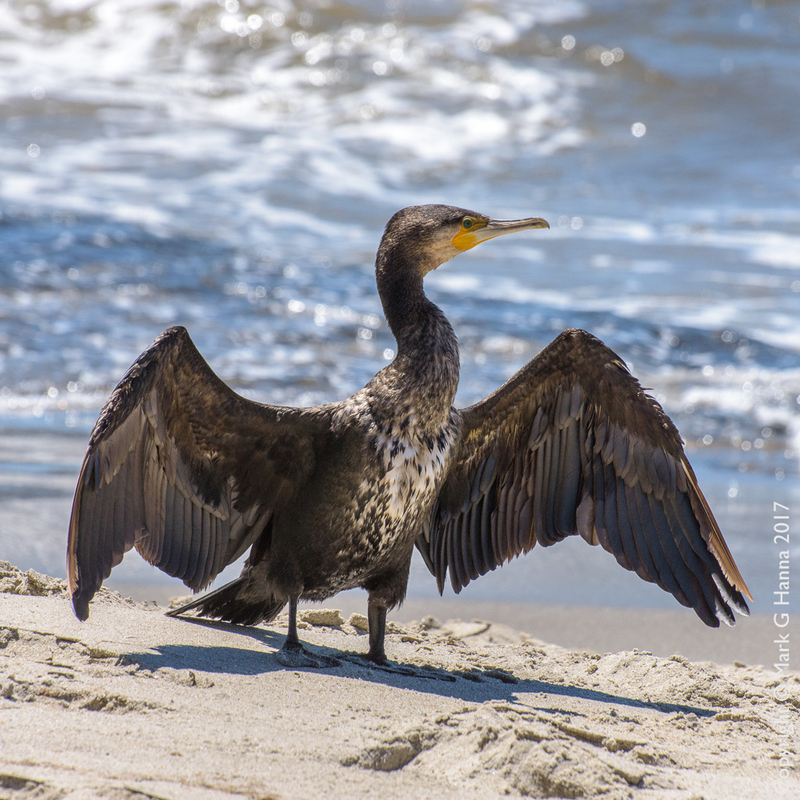 This cormorant was drying his wings on Pirates Bay beach. He was visible from quite a distance, resembling a miniature dragon. He was nervous as I edged around him, but I think his wings were very soggy and he didn’t want to take to the water unless I seemed really threatening. I believe he was a juvenile (chest plumage), so maybe he just wasn’t very good at swimming, got bedraggled, and needed a good sit down. These birds grow up to a metre in length, and I think this chap was heading for that.